​is PYCO School of Music’s newest summer offering in 2018! this Audition Workshop will help you put your best foot forward! and provides all students the opportunity to perform and polish their audition materials. from esteemed industry professionals as well as their peers. but teach them the process of HOW TO PREPARE THEMSELVES FOR ANY AUDITION IN THEIR FUTURE! An audition for this workshop is NOT required. However, we ask you to submit a video of you singing the two song selections you would like to work on during the workshop to info@pycosom.com. This video may be accompanied by piano, backtrack, or sung a capella. A YouTube recording is preferred. Consult with your teacher for the best song selection for your recording. Comprehensive tuition includes tuition, snacks, professional head-shots (digital & print), accompanist fees, and activities. Lauren Corcoran Emrich is a native and current resident of Pittsburgh. Lauren is an active soprano in her hometown and surrounding area. In Pittsburgh, Lauren is a member of the Pittsburgh Opera Chorus roster. With Undercroft Opera, Lauren sang Rosalinda in Die Fledermaus. She’s appeared with the Pittsburgh Youth Philharmonic Orchestra, Moon Area High School Honors Chorus, and Upper Saint Clair High Pantheon Choir as the soprano soloist Beethoven’s Ninth Symphony in 2015 and Carmina Burana in 2013. She in an active soloist with Coraopolis United Methodist Church, Bradford Woods Community Church, and St. Stephen's Church. Previously in the Cleveland area, she sang for Renée Fleming in masterclass and in the chorus of Cleveland Opera Theater's production of La Bohème. Lauren was a national semifinalist at the National Association of Teachers of Singing (NATS) National Competition in 2017 and 2016. During her studies at The University of Akron and Youngstown State University, she performed in many operas. Her favorites include Laetitia (The Old Maid and the Theif), Madame Goldentrill (The Impresario), and Gretel (Hansel and Gretel.) As a Young Artist with Opera Western Reserve, Lauren has been featured in their productions as Musetta (La Bohème) and Rosina (Il Barbiere di Sigiliva). Lauren’s summer training includes: Bay View’s Summer Opera, Art Song, and Recording Seminar (2015), OperaWorks Advanced Artist Program (2014), and Oberlin in Italy Concert Artist (2013). Jacquelynn Ware is singer, voice instructor, music therapist, and actress residing in Pittsburgh, PA. She is currently in pre-production for a lead role in a fauture film with production beginning in May 2018. Jacquelynn has been studying the voice since she turned 13 years old and has pursued her performance career ever since. Jacquelynn graduated with highest honors from the prestigious Berklee College of Music in Boston, MA, which she attended from 2007-2011 after receiving a substantial scholarship to study at the school. From 2008-2010 Jacquelynn also studied choral music at Boston’s New England Conservatory. After her time in Boston, Jacquelynn spent time living and working in Los Angeles. During her time in L.A. Jacquelynn was employed as an intern at Playtone Production Company owned by Tom Hanks and Gary Goetzman. Also while living in L.A. Jacquelynn was awarded a scholarship and graduate assistantship to study Music Therapy and Licensed Mental Health Counseling at Lesley University in Cambridge, MA and subsequently moved back across the country to further her education. Jacquelynn graduated from Lesley in 2014 with highest honors and has worked as a therapist in a variety of mental health settings in the Boston area and obtained her professional licensure as a Music Therapist (MT-BC) in January of 2015. 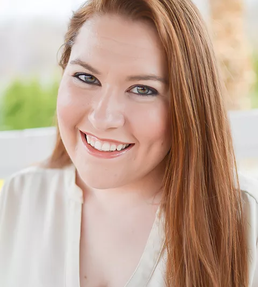 Just prior to receiving her music therapy license, Jacquelynn moved to Pittsburgh, PA and has been working as a professional voice instructor and performer ever since. Jacquelynn has been cast in numerous films and performed at many different venues since moving to the Pittsburgh area. Notable accomplishments include performances in Dublin with Ireland’s Anuna Choir as a member of their summer program, her successful Youtube channel www.youtube.com/realdubswaps, building a vocal coaching business boasting over 40 private vocal students, as well as working as a professional recording artist hired to sing on a variety of different albums.